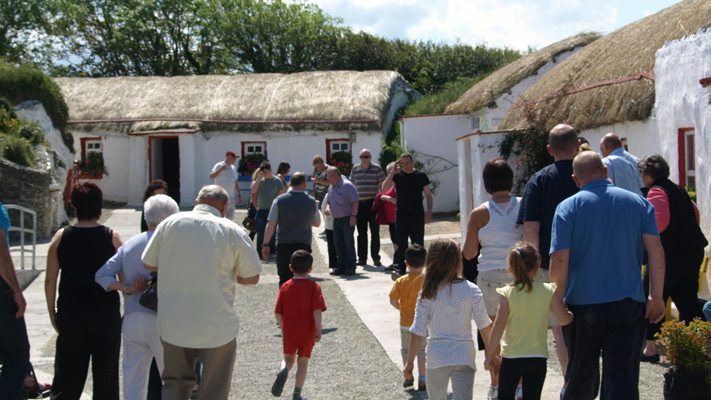 A visit to Doagh Famine Village is a journey worth taking! 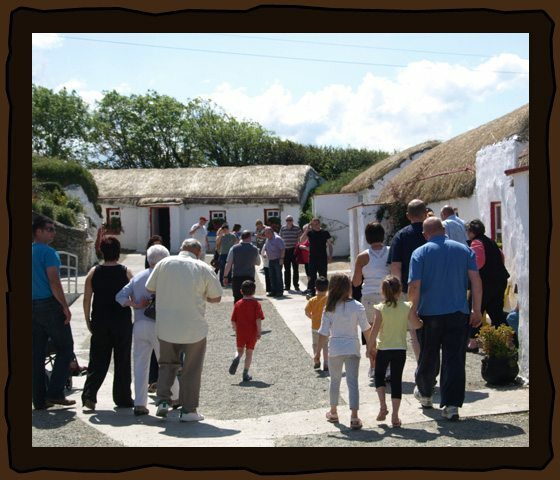 Doagh Famine Village is visited by thousands of visitors from all walks of life, all ages and from all across the world every year. We have tour guide books available in a number of different languages for those visiting from the most frequent countries our visitors come from. 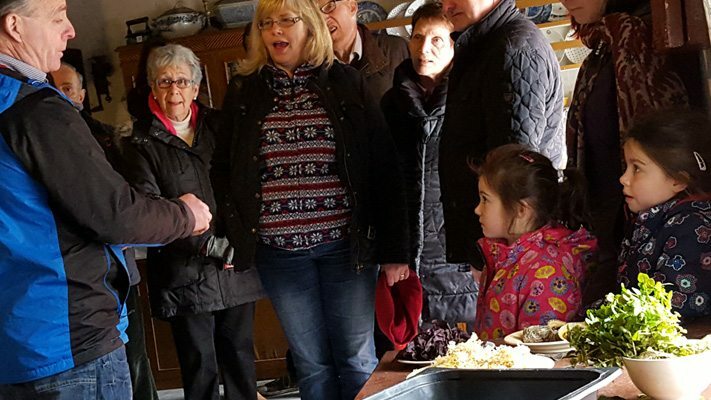 Whether visiting on your own, with friends or family, as part of a large group or with a coach party the experience at Doagh Famine Village is equally enjoyable and well worth the journey. 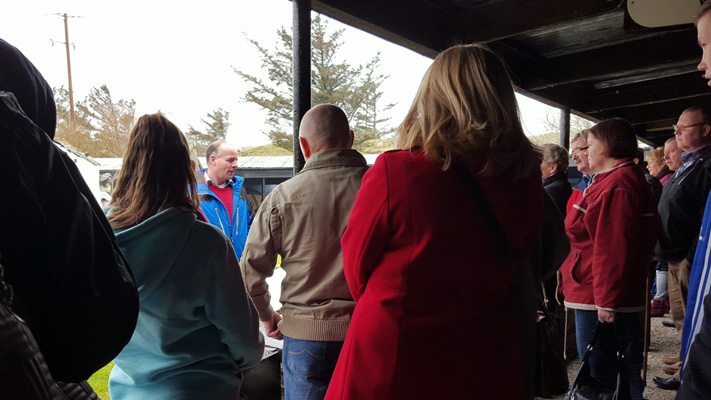 With regular tours throughout the day, 7 days a week and predominantly undercover it is an ideal place to visit any time and regardless of the weather. 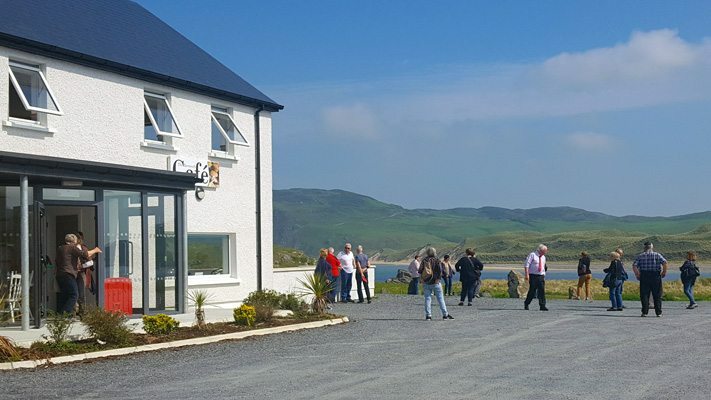 Our new purpose-built visitors center has some splendid views out across the bay to Malin, the Five Finger Strand and out across the Atlantic Ocean at the end of the Wild Atlantic Way. The visitors centre has ample facilities with toilets and baby changing areas and houses a cafe where you can grab a bite to eat or quick refreshments before or after your visit. 20 years ago, Pat Doherty started Doagh Famine Village as a means of employment in harsh economic times in Ireland. His love for his family home and community inspired him to showcase this to a larger audience and tell the story of how his family and those before him lived and survived from the Great Famine in the 1840s until the present day. 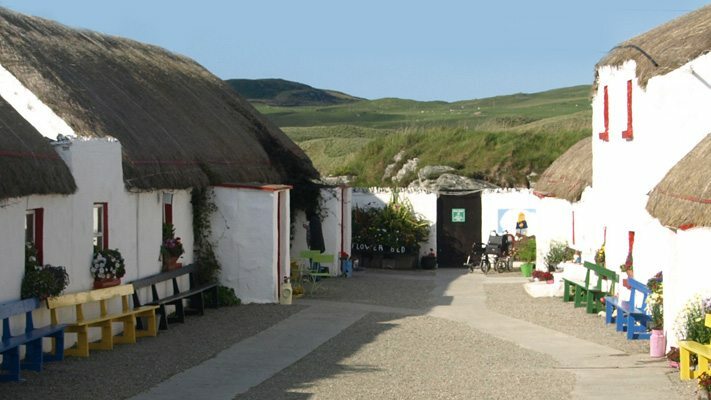 Doagh Famine Village has grown considerably over the past 20 years from the backyard of his mother’s thatched cottage to the large scale museum now visited by thousands from across the world every year. 20 years on Doagh Famine Village tells the story of a family and community living on the edge and how they survived and adapted from the 1840s to the present day. Remoteness, isolation and reliance on small plots of land made this area of Ireland a harsh place to live. 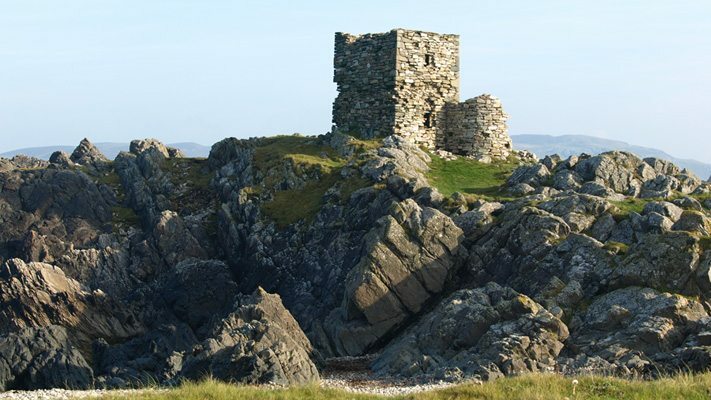 Despite the hardships endure throughout the last few centuries the same families have lived here for generations. Learn how these people have adapted and survived in their environment as it has changed from generation to generation. 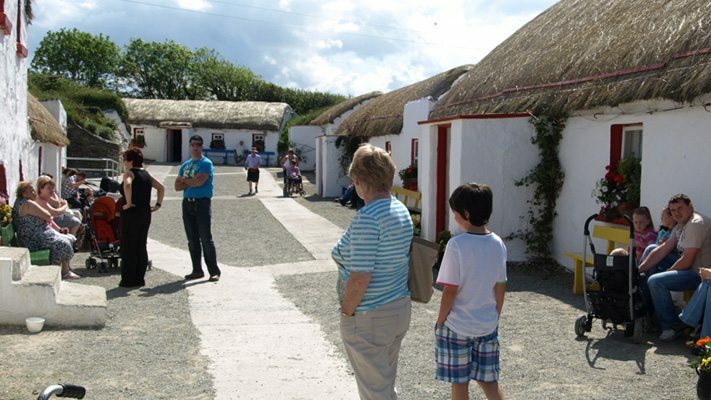 Doagh Famine Village is a large walkthrough museum built around original thatched dwellings. It uses live size attractions and exhibits to depict Irish life from the 1840s on with the aid of practical and interactive demonstrations. The guided tour with one of our guides really brings the whole experience to life to provide a thought-provoking, infortmative and at time humourous look at Irish life. 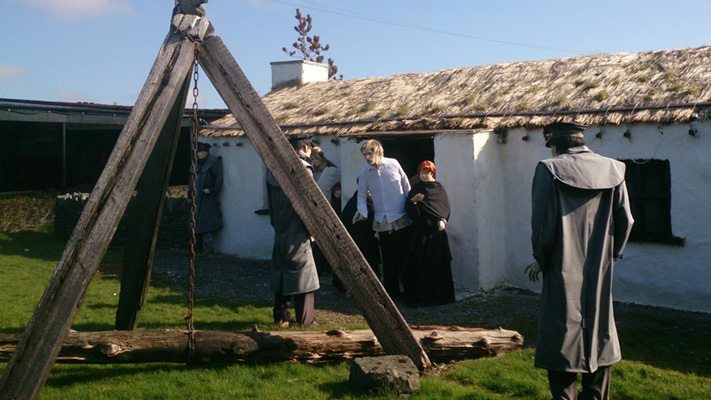 Doagh Famine Village is different to any other tourist attraction in Ireland. It depicts Ireland as it was, uncommercialised and interdenominational and does not divide on any grounds showing Ireland from all walks of life. You will learn the history if Ireland from all sides, about the food before electricity, cures before medicine. We hope that after your visit you will find the time to stop and think to reflect on where we are now in the world. And as you would expect all intertwinned with a humourous look at Irish life over the ages. Come along & spend some time with us soon! Admission is €10 for an adult, €6 for a under 16s with under 4s free. Admission is payable on arrival, there is no need to book in advance just pop along and enjoy your visit. Large groups & coach tours must book in advance by calling 074 93 78078.